Network monitoring is essential to ensure that your computer systems are performing properly and no outages occur. Growing businesses need technology that will expand with them. You may want routing between multiple sites and home offices or wireless accommodations for your remote workforce. You may opt for a virtual local area network (VLAN) to secure your information and devices. We at Virtual IT Solutions provide world class services to Small and medeium scale businesses and GOVT bodies, With our expertise in designing, implementation and maintenance of various computing platforms, operating systems, Networks and firewalls. This centralized tool can be used to monitor your Local Area Network as well as the Wide Area Network. The features include history statistics maintenance, clear graphical user interface, notification using various methods such as Email, Mobile phones, beeps etc. ; Connectivity using a WAP enabled mobile phone. 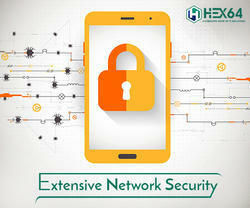 We are engaged in offering Network Monitoring Services to our clients. 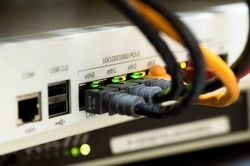 Network monitoring describes the use of a system that constantly monitors a computer network for slow or failing components and that notifies the network administrator (via email, pager or other alarms) in case of outages. Orion npm delivers comprehensive fault and performance management that scales with rapid network growth and expands with network monitoring needs. Orion npm enables you to quickly detect, diagnose and resolve network performance problems and outages. Orion npm is an comprehensive web-enabled fault and performance management platform that gives you broad visibility across your network. We provide network monitoring 24 hours a day, 7 days a week, 365 days a year for your network. Your network equipment, servers and desktops are monitored by our Network Operations Center. We then notify the client of any downtime or events that could cause problems or downtime on your network. Capitalizing on the ability of our well-trained workforce, we are readily engaged in providing world-class Network Monitoring Services. A team of well-trained staffs is offering these services as per the thorough demands of our clients. We believe in offering precise solution of client’s needs and assist them accordingly. Network monitoring is the use of a system that constantly monitors a computer network for slow or failing components and that notifies the network administrator (via email, SMS or other alarms) in case of outages or other trouble. Manage unplanned downtime, network intrusion, and resource saturation by proactively taking action before the issue arises with complete visibility and automated alerts. Network monitoring is the information collection function of network management. First ... applications can fully control their network and provide economical, and high-quality networking services to the users. ... Network indicators, Description. - Adwaita will proactively monitor your network and remotely address potential points of failure before they become critical. - When a site visit is required, automatic alerts guarantee a rapid response time. - Problems can often be resolved before you’re even aware that they are occurring.